in this animation a ball bounces around and turns into a red eye. the eye cries a single teardrop that turns into a blue eye the red eye winks, and then the eyes turn into As and move vertically. my name then appears on the screen then disappears they both blink. the blue one disappears and the red one turns back into a ball then moves to its starting position. it's hard to describe what's happening, but it starts as a square and moves around the screen. it then splits, turns into two circles and then they trade places then turn back into rectangles and turn red and blue. after that they go to the corners and move around some until they turn into a purple rectangle with turns into a circle and splits into 4 ovals the ovals turn into something that I can only really describe as a tie fighter. That moves around and turns into an optical illusion because why not. the illusion changes colors, then disappears. then my name appears and the animation ends. 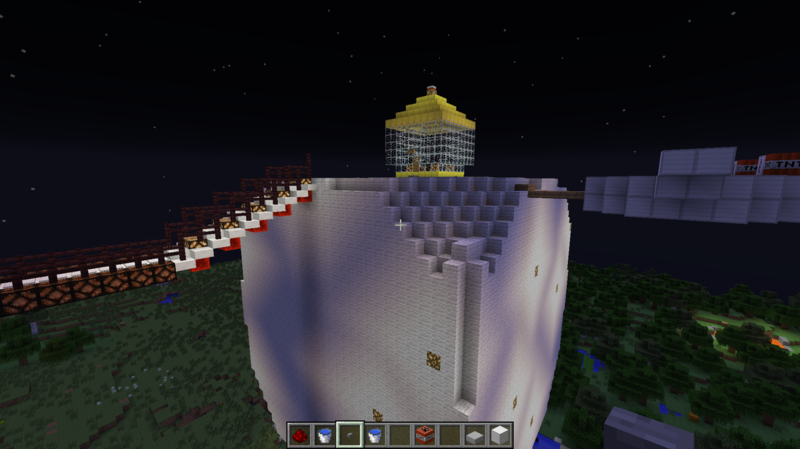 the last two weeks I've been working on my flash project 3, but yesterday I started my Minecraft project yesterday. My Goal for this week is to create multiple buildings in my city. 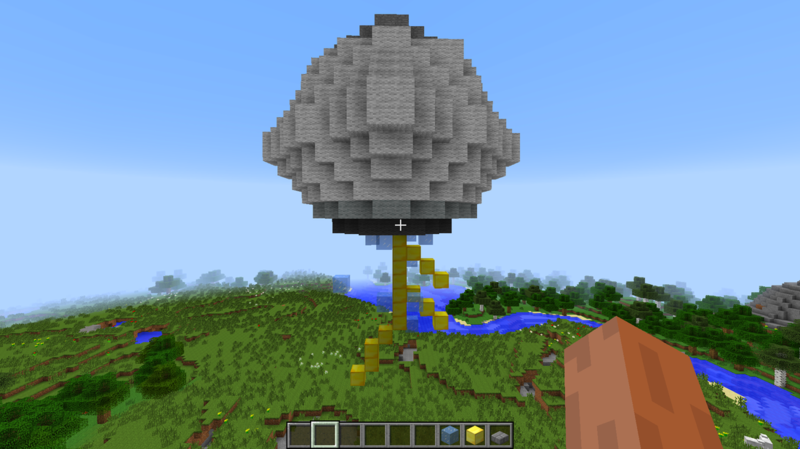 right now I am finishing my minecraft project, by decorating my city and finishing the cloud. I liked the minecraft open build project because overall it was easy to use. I like how we were given options as to what to do in a general topic, like future city and flash project you had to make something, but it could be anything. overall the assignments were fun and slightly challenging, and I learned how to use flash animations. I would recommend a little more supervision on the minecraft project next year.